Lual Mayan of Junub Games created a Crowdfunding campaign to support his work creating games for peace in South Sudan. 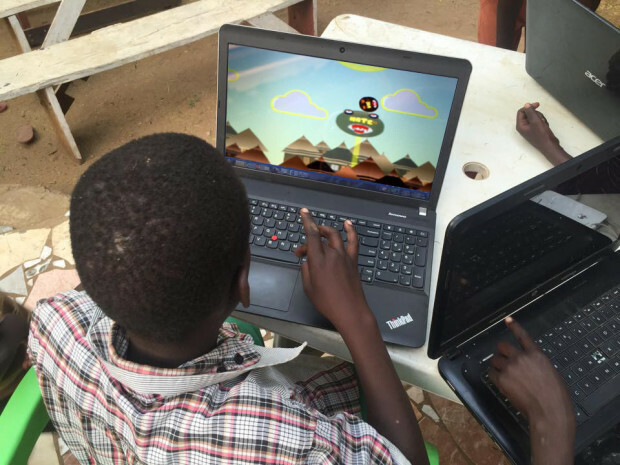 "We build games that educate and change the attitude and mindset of children and youth in order to prepare them for a peaceful future. South Sudan is a country where two generations have grown up during civil war, with more than 70% of the country under the age of 30, and the average age of 18-years-old. Children need games to play, not wars to slay, and people lack an understanding of emotional prerequisites for peacebuilding because of systemic violence and decades of war. " Junub Games used Generosity as their Crowdfunding platform. They used the free version of WeVideo to develop the campaign's video, and distributed the campaign via Facebook and Twitter. The games produced by Junub are both card games and made in Unity. This page was last modified on 27 June 2017, at 05:03.